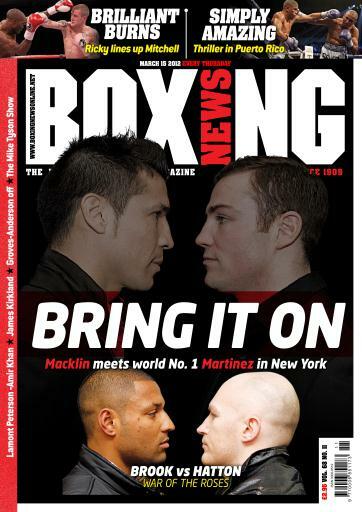 Ahead of a big weekend of action, we preview Sergio Martinez-Matthew Macklin in New York and Kell Brook-Matthew Hatton in Sheffield. 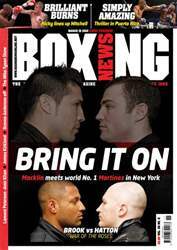 Ricky Burns successfully defended his WBO lightweight title and Orlando Salido toppled Juan Manuel Lopez once again. We speak to James Kirkland about his eventful life and career so far, while British cruiserweight champion Shane McPhilbin is the subject of the Q&A. 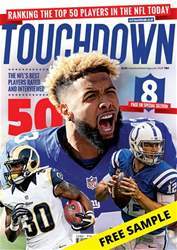 Edwin Rodriguez faces the 60-second interview and Steve Kim provides the guest column. All this and much more.